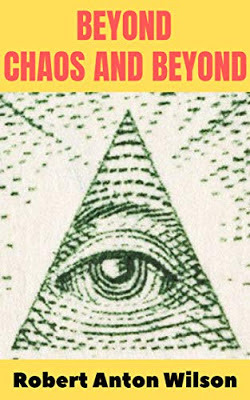 I've been reading Beyond Chaos and Beyond, and I've just finished a question and answer session in the "An Evening with Robert Anton Wilson" chapter. In one of the chapters, Wilson is asked about the possibility of an Illuminatus! movie, and he remarks the stage production has been done in Liverpool, London, Cambridge University, Amsterdam, Frankfurt, Jerusalem and Seattle. Frankfurt, Amsterdam and Jerusalem were news to me. RAW also remarks, "It should be done as a TV miniseries, and it's a little bit too hairy for television at this present stage of civilization in the United States." All sorts of things are being adapted for miniseries these days; maybe the time for Illuminatus! will finally come.